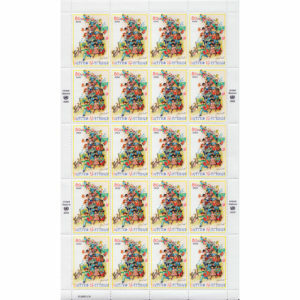 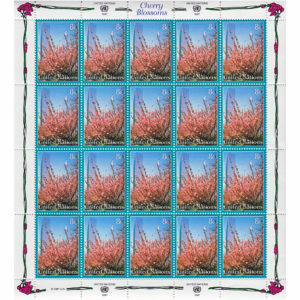 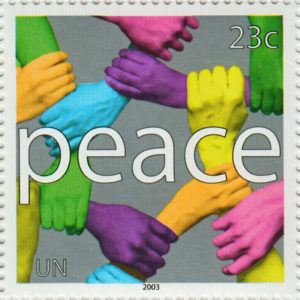 SKU: 3415061 Categories: 2003, New York, Single. 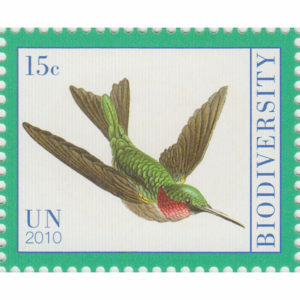 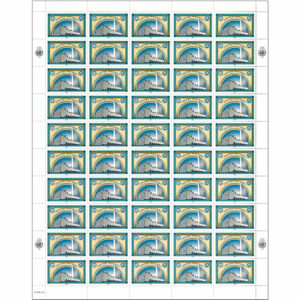 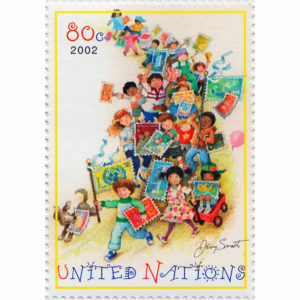 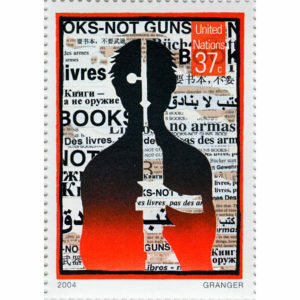 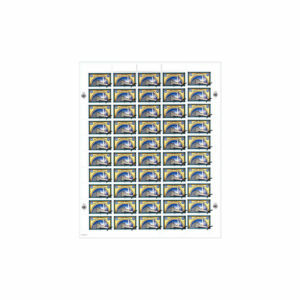 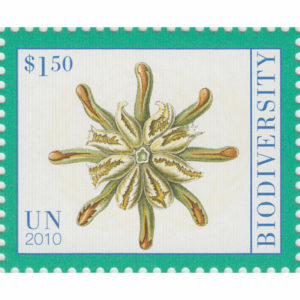 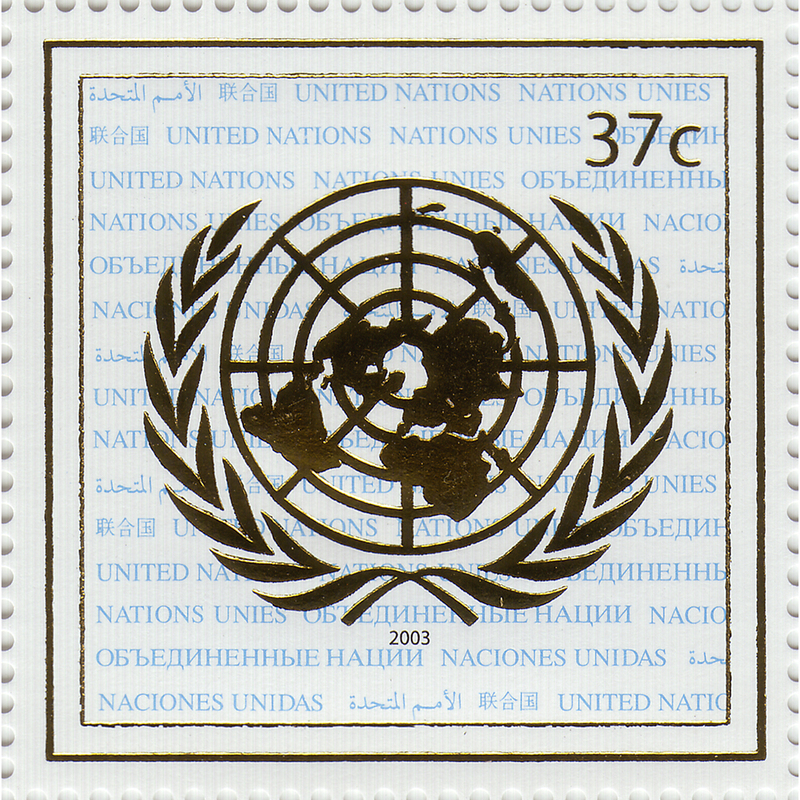 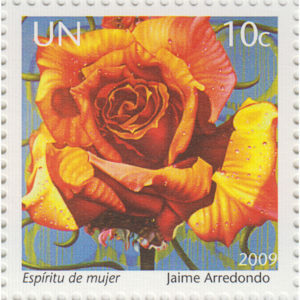 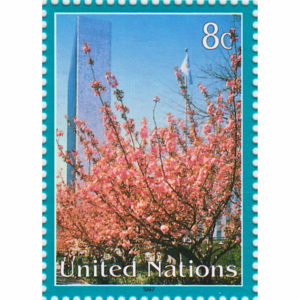 The stamp displays the United Nations emblem in gold. 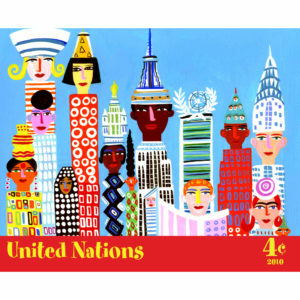 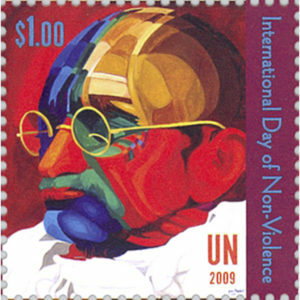 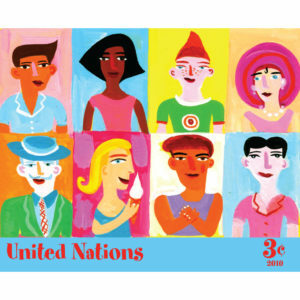 The text “United Nations” in gold appears in the six official languages of the UN in the background of the stamp. 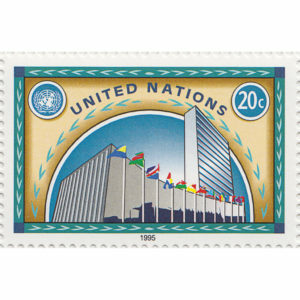 Printed in offset lithography with gold hotstamped foil by The House of Questa (United Kingdom).